Distribution is an interrelated mechanism of resources, facilities and transportation systems that moves goods from producers to consumers. A distribution network is the system a company uses to get products from the manufacturer to the retailer. A fast and reliable distribution network is essential to a successful business because customers must be able to get products and services when they want them. Now you have your distribution and your supply chain based in Warren, Michigan. After over 25 years of experience, we know that effectively understanding the correlation between distribution and logistics is critical to a company’s bottom line. 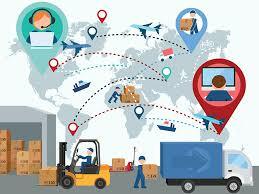 In general, logistics refers to the distribution process within the company whereas the supply chain includes multiple companies such as suppliers, manufacturers, and the retailers. While some companies manage their own logistics, others find it more efficient to outsource processes to specialized contract logistics companies to manage their logistics for them. Your contract logistics company like TVI Logistics becomes a part of your distribution network and a key player in the success of your supply chain. 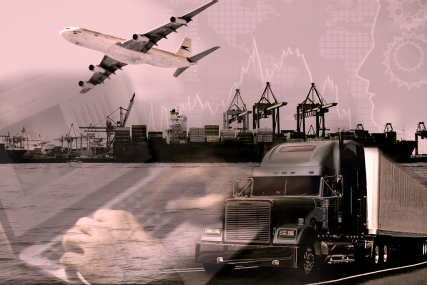 Does outsourcing logistics functions offer companies competitive advantages? What sort of logistics functions can a company outsource? 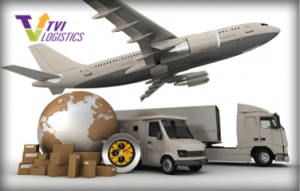 How do contract logistics companies work with my organization? How can I choose the right contract logistics company for my business? Doesn’t outsourcing logistics functions add performance risk to our business? Outsourcing logistics is one of the most efficient ways for a company to get the best value for its logistics dollar and increase performance efficiency by staying focused on its core business elements. EXAMPLE: Billy’s Vacuums, LLC makes household and commercial vacuum cleaners. Billy’s processes are performed in a small well designed production facility that can produce 1000 units per month. 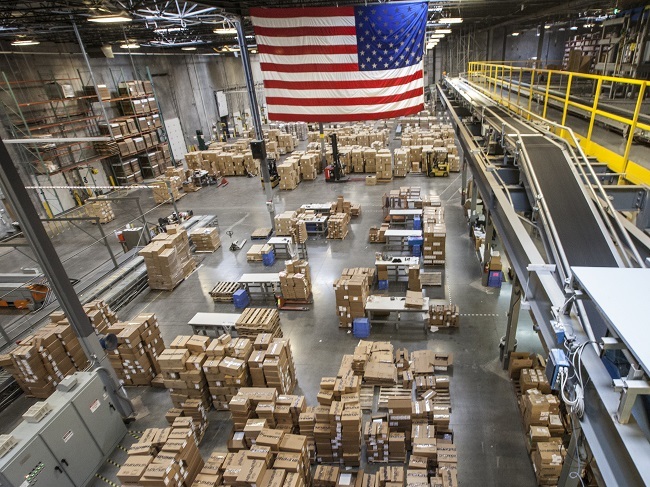 Billy’s outsources its logistics functions for storage, distribution and order fulfillment to, Vista Logistics, a local Third Party Logistics (3PL) provider. This makes Billy’s able to focus on making vacuum cleaners, what they do best. Vista picks up finished products and repair/replacement parts from Billy’s on a weekly basis. Vista receives the completed vacuum units in sealed point of sale cartons. The repair/replacement parts are received in parts bins of like items in various counts ranging from 25 to 100 pieces. 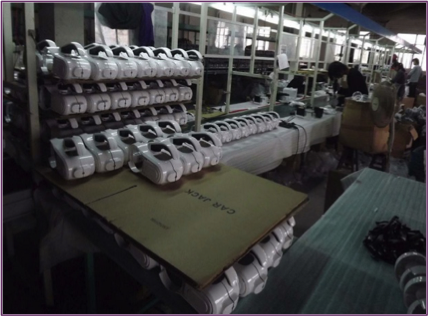 The finished vacuums are the packaged by the 3 PL according to shipment requests from retail merchants. Smaller merchants may request single quantities and larger retailers may request multiple quantities to be sent to multiple store locations and big box stores may request shipments be directed to their distribution center based upon point of sale replacement information. Repair/replacement parts, such as brushes, vacuum brushes and tools and vacuum belts, are removed from the bins and placed in point of sale packaging, and stored for fulfillment of orders from retailers or consumers as needed. Some of these orders are for retail stock and some of these orders are for warranty replacement. Outsourcing all or some of these supply chain functions may make sense for your business to keep pace with ever changing market trends, transportation regulations and resource costs. Contract logistics companies should work seamlessly with your company’s internal operating requirements. 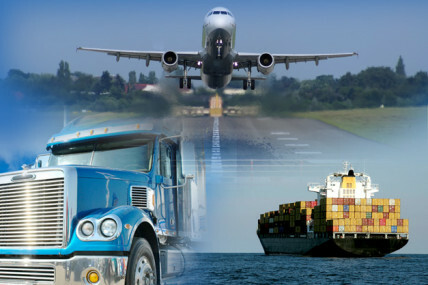 Contract logistics is a low cost extension of your company’s capability, offering state of the art supply chain solutions that maximize your company’s flexibility and ability to meet customer and market needs. Contract logistics companies offer just in time logistics solutions that increase efficiency and decrease waste by delivering goods only as needed in the production process and reducing inventory costs to manufacturers. If your organization is able to accurately forecast demand, then a just in time inventory strategy may be right for you. Do you require Warranty Management? Risk is always a consideration for any change in business processes. It is important to reduce or eliminate risk through a well thought out design of your supply chain and all of its objectives. Making the best choice when outsourcing your supply chain needs should 1. Enhance your company’s performance and 2. Improve competitiveness in the marketplace and 3. Should measurably improve its bottom line. If your analysis meets all three of these objectives, risk will not be a consideration. By having an efficient supply chain and proper logistical procedures, a company can cut costs and increase efficiency. On the other hand, a company with poor logistics will fail to meet customers’ expectations and see its business suffer. By using warehousing to handle the logistics aspect of your business, you can allow your resources to be used to facilitate more business growth instead, while knowing that your product is being properly handled and shipped to your customers. 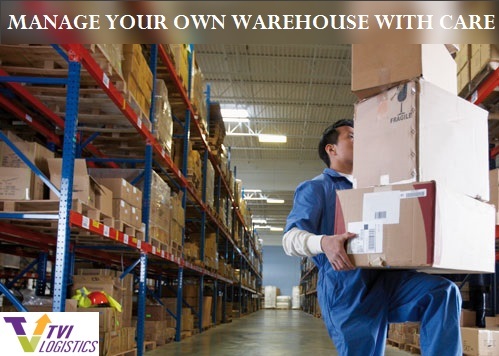 Successful Businesses Use Third Party Warehousing, by putting this priority in the hands of a third party that is specialized in handling it, you can allow your focus to be on the development of your business. In order for a business to succeed, there are many different facets that need to be developed. From product development to manufacturing, marketing, distribution, logistics, customer service and more, it can simply overwhelm a business to attempt to handle all of these aspects in-house. By delegating the responsibility of logistics over to a third party, valuable time and resources can then be spent on building more or better products and marketing those to potential customers. Processing orders needs to be a priority, as the product needs to reach a customer as soon as possible. Why do companies use Foreign Trade Zones? 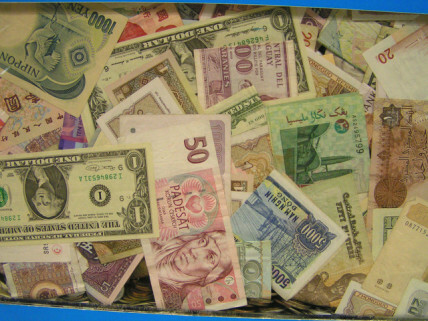 Can import taxes be deferred if I will be re-exporting goods? If I manufacture in the FTZ will I have to pay duty on waste, scrap or yield loss? Are there cost benefits to using a FTZ? A Foreign Trade Zone (FTZ) like TVI Logistics is a government designated facility that allows duties & taxes to be deferred until the goods leave the facility. Supervised by U.S. Customs, items can be imported into the zone, and then stored, kitted, assembled or otherwise modified. Then when the goods leave the trade zone, that’s when duties are charged. These zones were set up by the Federal Government to “even the playing field” and offset advantages that some overseas suppliers have in the customs process. A Foreign Trade Zone is a secure area under the supervision of the Bureau of Customs and Border Protection (CBP). FTZs are considered to be outside of the Customs territory of the United States for the purposes of payment of duty. Such facilities were created for the purpose of increasing global trade and function under the Foreign- Trade Zones Act of 1934, (FTZ Act) as amended (19 U.S.C. 81a-81u), and the FTZ Board’s regulations (15 C.F.R. 400). The growing global economy is changing how we produce and sell goods. For many industries, base parts get made in one country, are assembled in another, and sold in yet another. As global trade continues to expand, Foreign-Trade Zones (FTZs) will increase in importance. 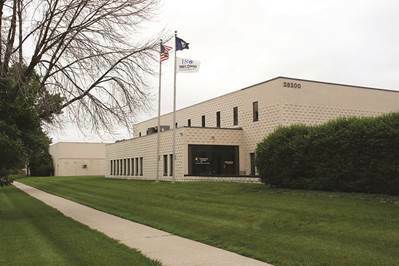 Continue reading to learn why these special zones were initiated and how your business can save money and really benefit specially by operating within a U.S. Foreign Trade Zone (FTZ) #70 in Warren, Michigan throught TVI Logistics. Distribution and Supply Chain is an interrelated mechanism of resources, facilities and transportation systems that moves goods from producers to consumers. 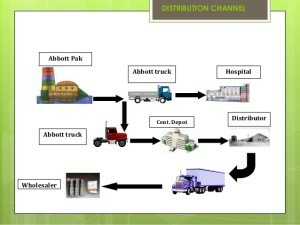 A distribution network is the system a company uses to get products from the manufacturer to the retailer. A fast and reliable distribution network is essential to a successful business because customers must be able to get products and services when they want them.